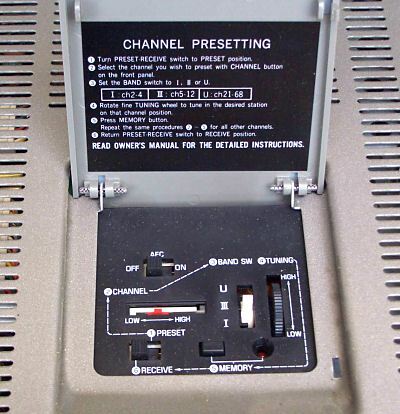 Tuner controls The Toshiba V-9680 was an upgrade from the V-9600 model. 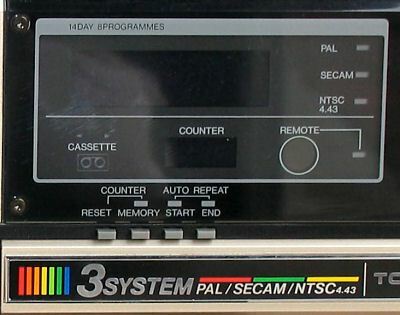 Its main feature being that it was a multi-system unit offering PAL / SECAM and NTSC4.43. 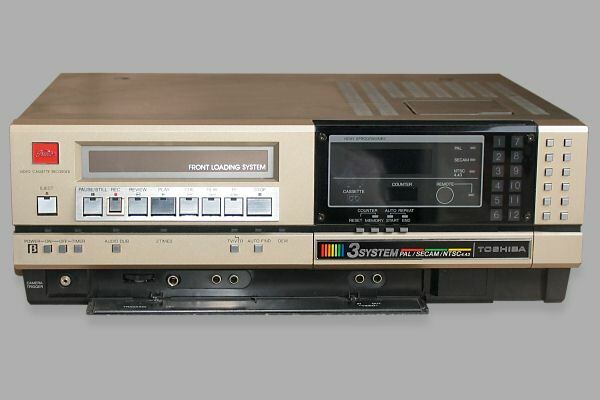 Like its predecessor the V-9600, it was a fairly basic looking front loading VCR. The V-9680 was on sale at the same time as the Sanyo VTC-5000 and the Sony SL-C6. Internally it still relied on a belt drive mechanism and cosmetically it looked like it was built like a brick. Still it did have a multi-event timer which was something it's competitors didn't offer. If you pick up one of these machines today then they are probably worth getting going as spares are still available.